The event was visited by 273 representatives from 21 countries including Russia, USA, UK, Denmark, Germany, France, Italy, Switzerland, Turkey, Egypt, Lebanon, Singapore, Latvia, Estonia, Belarus, Ukraine, Kazakhstan and other countries. General sponsorship was once again provided by “Ingosstrakh” Insurance Company, sponsorship – by Ermak Ltd. and HANSA Terminhandel GMBH (Germany). First Conference session “New season: new problems of state regulation of agro-food markets” was opened with the report of Deputy Minister of Agriculture of the Russian Federation Ilya Shestakov. In his speech, Mr. Shestakov highlighted the problems of state regulation of the grain industry, spoke on grain intervention and presented prospects for the Ministry of Agriculture for the season. Upon the development of macroeconomic situation at the consumer goods market, causes and rates of inflation, credit problems and circulation of money in the economy spoke Evgeny Gavrilenkov, Managing Director and Chief Economist of Troika Dialog. Insurance as a tool to protect investment in agriculture in the light of Russia’s accession to the WTO was examined in the report of Delyara Sangadzhieva, Head of Agrarian insurance management of “Ingosstrakh” Insurance Company. Special attention was paid to the new law “On insurance with state support”, aspects of its practical application, problems of commodity goods insurance, namely the grain. At the end of the session, Vice-president of the Russian Grain Union Alexander Korbut who acted as a moderator almost throughout the whole Conference, asked for comments to the speakers. The discussion was also attended by the representative of the Russian Ministry of Economic Development, Principal Adviser of the Economy sectors Development Department Alexey Ovsyannikov and President of the Russian Grain Union Arkady Zlochevskiy. The second Conference session “New development trends at world grain and oilseed markets” was marked by the reports after Goris van Lit, Regional Director of U.S. Wheat Associates and Yelto Zimmer, Head of agri benchmark Cash Crop Team from Institute of Farm Economics named after von Thünen (Germany). In their reports experts talked about the situation at the world markets of grain and oilseeds. The session continued with the discussion on grain quality in the new season, where Head of Agriculture Department, SGS Vostok Limited Sergey Derzhavin and Head of the Agricultural Production Department, INSPECTORATE R Vitaly Smirnov took part. The debate on the world grain market situation was continued at the beginning of the third session of the conference by late, but even more welcome, leading analyst of U.S. agency Progressive Ag Ray Grabanski, who arrived to Moscow a few hours before his performance! Mr. Grabanski announced forecasts of changes in grain prices that surprised audience much – it turned out that in the next year grain prices will decline not only in Russia but in the rest of the world. During the third session on the situation in the Black Sea grain market in the new season, his forecasts, estimates and recommendations made General Director of the Institute for Agricultural Market Studies Dmitry Rylko. In his presentation the expert visualized the structure of consumption and supply of grain by region, the forecasts of situation development at the Russian grain market in 2012/13 season considering wheat stocks in major exporting countries and much more. His version of the “Battle for the harvest” demonstrated General Director of ProZerno Vladimir Petrichenko. In his report, he described not only major trends in the market of the Black Sea grain but at the oilseed market as well. Well-known fact – grain trade is impossible to imagine without the railway. Proof of this was the presentation of the First Deputy General Director of Rusagrotrans Oleg Rogachev. In his report, Mr. Rogachev announced guidelines of grain flows, problems of market volatility, the state of grain-carriage park and actual figures of grain transportations. The third Conference session “Black Sea grain in the new season: drivers and forecasts” was continued by the reports of analysts from partner-countries – Kazakhstan and Ukraine. Sergey Feofilov, General Director of UkrAgroConsult analyzed the main trends at the Ukrainian grain market while his colleague Evgeny Gan, President of Kazakhstan League of Grain Processors and Bakers outlined the situation at the grain market of Kazakhstan. At the end of the Conference work the round table of grain experts was held, where new participants added – Deputy General Director of the International Grain Company Nikolay Demianov, President of the Russian Grain Union Arkady Zlochevskiy, Chairman of the Board of Directors of Russkiy Dom Oleg Kananykhin and Head of Market analysis division, Strategic Marketing Department of Rusagrotrans Igor Pavenskiy. 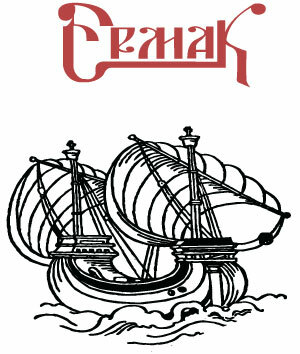 The General informational partner of the Conference was “Interfax”, the Official informational partner – Zerno On-Line. In the mass media the Conference was covered by such news agencies as Bloomberg, Reuters, RosBusinessConsulting, RBC-daily, as well as by the Rossiyskaya Gazeta, World Grain, etc. The TV-broadcasting was effected by RBK-TV channel.